David Collings (born 4 June 1940) is an English actor. In an extensive career he has appeared in countless roles on stage, television, film and radio as well as various audio books, voiceovers, concert readings and other work. He garnered a following through his numerous appearances in cult sci-fi series such as Doctor Who, Sapphire & Steel and Blake's 7, as well as voicing the titular character in the series Monkey and Legolas in the classic BBC Radio 4 adaptation of Tolkien's The Lord of the Rings. Collings was born in Brighton on 4 June 1940. Collings' screen breakthrough came playing the protagonist Raskolnikov in Fyodor Dostoyevsky's Crime & Punishment (1964 with Associated-Rediffusion Television).The production was recorded live. He has played historical characters such as Percy Grainger in Ken Russell's Song of Summer (1968), Richard Simmons in The Shadow of the Tower (1972), John Ruskin in The Love School (1975), a BBC series about the Pre-Raphaelites, and Sir Anthony Babington in Elizabeth R. In 1975, he portrayed William Wilberforce in The Fight Against Slavery, and he starred as William Pitt in Prince Regent in 1979. Collings also appeared as Deva in the final episode of Blake's 7 and as the character of 'Silver' in several of the popular Sapphire & Steel TV adventures. He appeared in the TV series Danger Man, Mystery and Imagination, UFO (episode "The Psychobombs") and Gideon's Way; in the latter, he played an emotionally disturbed man attacking young women in the episode The Prowler. Collings played the character of Bob Cratchit in the classic 1970 film musical, Scrooge, starring alongside Albert Finney, Dame Edith Evans, Sir Alec Guinness, Kenneth More, Anton Rogers and others. In 1981, he played the dual roles of Lord Dark and The Friendly Ghost in the perennial school-children's favourite Dark Towers, part of the Look and Read series. He voiced the eponymous lead for the long-running hit Japanese television series Journey to the West, released in English-speaking countries as Monkey. The show was a popular hit and had a mass following, particularly with young people. He is also noted for his children's television appearances including the role of Julian Oakapple in Midnight is a Place (1977). In 1989, he played Charn (the villain) in Through The Dragon's Eye, and had a recurring role as the headmaster in Press Gang from 1989 to 1993. He has appeared a number of times in the long-running British science fiction television series Doctor Who, including as Vorus in Revenge of the Cybermen, Poul in The Robots of Death and Mawdryn in the serial Mawdryn Undead. He has also played an alternate Doctor in the audio plays by Big Finish Productions in the Doctor Who Unbound series, Full Fathom Five, alongside other Doctor Who audio credits. 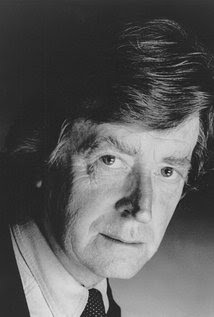 Collings returned to the role of Poul- now named Paulus- in the episode Hidden Persuaders of the audio drama series Kaldor City. On radio, he portrayed Legolas in the classic BBC Radio 4 adaptation of The Lord of the Rings. Collings' career on stage began with seasons at the storied Liverpool Rep., and has since taken him all over the world with leading companies including the National Theatre, the Royal Shakespeare Company and Cheek by Jowl, as well as BAM and the Lincoln Center in New York. He has had a long theatre career appearing in various productions in the UK, US and globally, ranging from Shakespeare and his contemporaries, classical works, Restoration dramas and farce, through to contemporary classics and new plays. He played the parts of Mortimer the Elder and Matrevis in a production of Edward II at the Royal Exchange, Manchester, which also featured his son, the actor Samuel Collings. He also appeared as the King of France in Henry V, and most recently Giles Corey in The Crucible at the same venue. Collings has three children, Samuel, Eliza and Kate. ^ "David Collings". British Film Institute. Retrieved 2 December 2012. ^ "Silver Jubilee Interview with David Collings". Magic Bullet Productions. 30 April 2003. Retrieved 2 December 2012. ^ "Doctor Who Classic Episode Guide - Mawdryn Undead". BBC. Retrieved 2 December 2012. ^ "Concerning The Lord of the Rings BBC 1981". SF-Worlds.Com. Archived from the original on 13 May 2008. Retrieved 17 October 2010.